Cosmetic Plastic Surgery in Beverly Hills California with Dr Lloyd Krieger! If you are considering plastic surgery in Beverly Hills, you will make a wonderful choice with Dr. Lloyd Krieger. Every plastic surgeon has his or own point of view. Dr. Krieger has his own strong ideas about how plastic surgery can enhance your lifestyle. It is important for you to understand this and be comfortable with your doctor’s approach to your care. Dr. Krieger emphasizes natural results in all of his procedures. For example, he takes care to make sure to do your breast augmentation to match your overall body shape. His approach to rhinoplasty and facelifts, as other examples, creates harmony with the rest of your facial features. 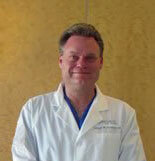 Dr. Krieger is widely known for his specialized techniques to create low pain and quick recovery. This will make your overall experience smooth and pleasant. People travel from around the world to have their plastic surgery done by Dr. Krieger. That’s why we have developed specialized travel programs for our national and international patients. This includes focused recovery programs and concierge services before and during your trip to Beverly Hills. Cosmetic surgery is about looking and feeling your best. It should not be about creating an “altered” or “pulled” or “fake” appearance. Dr. Krieger’s techniques work to avoid these outcomes. You will work directly with your surgeon Dr. Lloyd Krieger for the entirety of the process. He will be the professional you will meet at your consultation. He will do your surgery and then personally see you at all of your follow-up appointments. If you have questions at any point you will ask him directly. Dr. Krieger will answer your after-hours calls himself. Top rated surgeon Dr. Krieger always seeks to leverage his exemplary education and training at Stanford University and UCLA to provide you with the best cosmetic surgery care possible. Consistency and team work create excellent results and increase safety. Top rated surgeon Dr. Krieger has had most of his professional nursing and anesthesia staff at his center on Rodeo Drive for more than twelve years. The team knows how to work together to provide the best possible results and the utmost safety. Dr. Krieger believes that you should have your consultation and treatments in an elegant setting. We are the only plastic surgery center on famous Rodeo Drive. Because of the fine look and feel of our office, it has been used for filming numerous movies, TV shows and commercials. Dr. Krieger, a famous yet very personable plastic surgeon in Southern California looks forward to meeting you one-on-one at your personal consultation. Please call us at any time with questions or to make an appointment. Our scheduling office is always open, including nights and weekends! Learn more about breast augmentation in Beverly Hills CA. ©2004-2019 Lloyd Krieger MD, Inc. All rights reserved.